Me at age 6 in my first day of first grade. “I enjoyed it every year because you loved school so much. Just watching you go through the process made me happy,” said mami when I asked her how she viewed my back to school seasons. As an only child, I’ve had both the fortune and pressure to have all the parental attention and resources for me. That wasn’t more apparent than the period between July and August, as I embarked in a new school year. I remember growing up in Puerto Rico and going on the 90-minute trip from Arroyo to San Juan to go on our “epic” back to school shopping sprees in the biggest mall of the Caribbean – Plaza Las Americas. In these super-fun day trips, which may have included returning 1 or 2 more times, my mom bought my pretty Benetton book bag with matching lunchbox, my one-of-a-kind penny loafers, the new sneakers in season for physical education (“P.E.”) class, new underwear, and all the school supplies imaginable. As my father worked long hours as a Chef, most times I did the trips just with my mom and sometimes we would take Gueli (my abuela) for the ride. But as long I was happy and got the best of the best, it was enough for papi. My favorite part was getting home that night, spreading all the bags on my parents’ bed and opening all shopping bags while I re-examined, with great enthusiasm, all the new purchases while showing papi. Me at age 4 visiting my mom’s first grade classroom. I used to LOVE it! Even though I haven’t experienced a back to school as a student since finishing my Master’s Degree over 6 years ago, I still get a taste of the excitement (and a little sadness) of the countdown before summer ends and the feeling of new beginnings because my mami has been a first grade teacher for over 30 years. Much is written about the parents’ role in back to school, but what about the teacher’s perspective? I can tell you that after 35 years “going back to school,” mami still feels like she misses the school after the summer months (even though she secretly wishes the summer was longer! ), her buying a new wardrobe (yea, mom was always the fashionista), she looking forward to seeing her colleagues and getting to meet her new “babies” (as she calls her first graders). 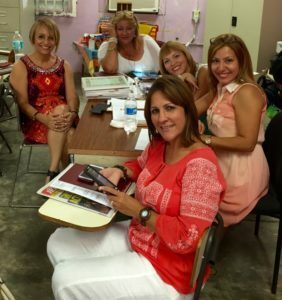 My beautiful and “fashionista” mom (far left) with her fellow teachers in their first day back to school 2015. As a proud P.A.N.K (professional aunt, no kids), with no firsthand experience yet of leading these efforts, I asked mami what advice she would give parents to help kids thrive in going back. “Parents are the first teachers and the home is the first school, so make sure that you are contributing to the new adjustment of coming back to a daily routine of chores and responsibility by incorporating structure slowly during the weeks prior to classes commencing,” she said. “Get completely involved in your kids’ new year, including meeting the teacher, and show enthusiasm for going back so they can learn to appreciate school. That’s the greatest gift you can give them,” she added. How do you know if you are doing good as a parent during back to school? Is it measured by how much money you spent? How involved you are in getting to know the new teacher? Or how responsible you are with the new school year demands? Maybe it’s a combination of all those things… But the amount of love and care you give to the entire process means you’re doin’ good. I want to publicly celebrate mami for her time, love & money invested in my years between pre-k and high school and honor her contribution to the thousands of first graders that learned how to read because of her. Mami: I want you to know that you did good in my back to school years, and that you continue doing good as a parent and teacher. Now I want to ask you: Do you feel you are doing good during this season or do you feel any guilt or think you should have done more? Know another parent who’s doing “miracles with a little?” Share your comments below. 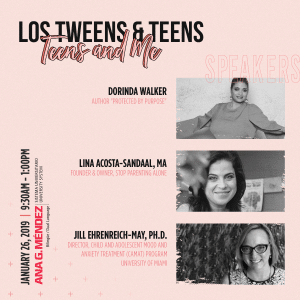 This entry was posted in Back To School, For Mothers & Tias, Las Tias, Los Influencers, Parenting Teens, Raising Tweens, Soul, Teaching & Education Tips and tagged Anllelic Lozada, back to school, only child, P.A.N.K, teacher, Teachers. Bookmark the permalink. Nunca es tarde para regresar a las aulas escolares. El amor al estudio no tiene edad ni fecha de caducidad. Wow esas cosas que uno guarda en la memoria! Uno nunca se olvida de las cositas que uno tenía y significaban tanto para nosotros como los útiles de la escuela. 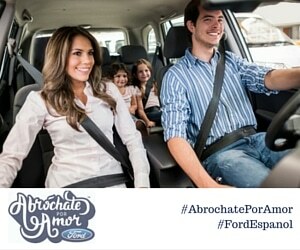 Muy lindo post! Que linda historia, tantos recuerdos tan lindos. Que gran ejemplo tu mami, muchos éxitos en sus estudios. que linda historia y bellas fotos de los recuerdos gracias por compartir con nosotros. Pingback: Teens & Tweens: How Does "Generation Z " Look Like?